Wow! I cannot believe it is February. Many of our classrooms will be celebrating the 100th day of school on February 12th. This month promises to be go by quickly as it is a busy month. We start off February with Ground Hog Day and we sure hope for an early spring. Winter Walk Day is scheduled for February 4th. We are planning for our grade 5 and 6 ski trip, the excitement of grade 5 and 6 Basketball continues, and the teachers are looking forward to our annual convention. On February 18th we begin our Lenten journey. 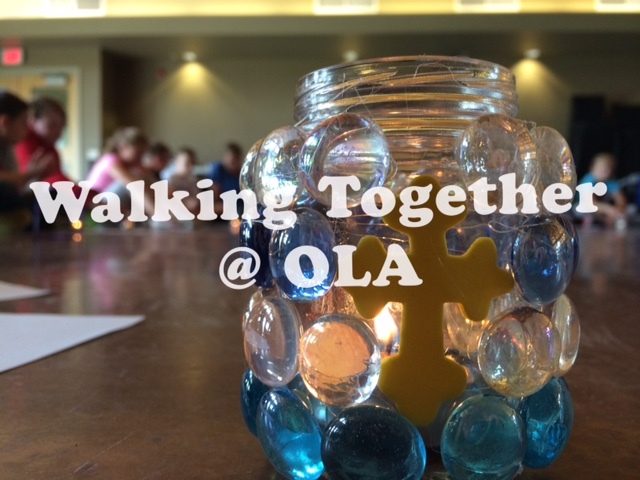 This year we are reflecting on the invitation to ‘Walk Together’. As an Easter people Lent is a time for us to reflect on our own lives and ask ourselves, how much do we thirst for Jesus who is always ‘Walking Together’ with us. Lent is a time to reflect how we are called to walk with God, invite others to the walk, and to walk with our neighbours. I have never been very high on New Year’s Resolutions. In fact, I cannot remember ever making one. It is not that I am against them, I simply have never really done them. 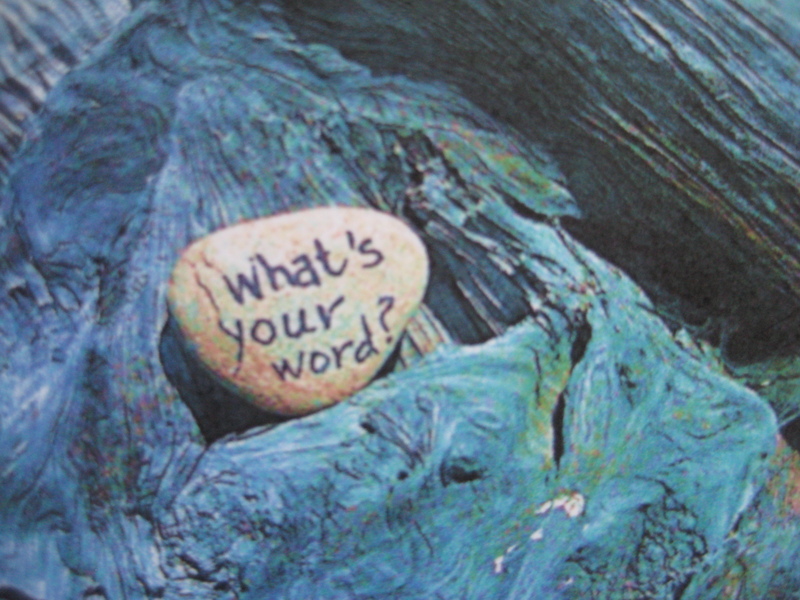 Recently, I read a blog from Dan Rockwell @Leadershipfreak entitled One Word Away From Transformation. The blog is about finding (actually, receiving) a guiding word. It made me think, what is my guiding word this year? Before receiving my word, I thought about last year. Using some of Dan Rockwell’s questions, I found a quiet spot and reflected. 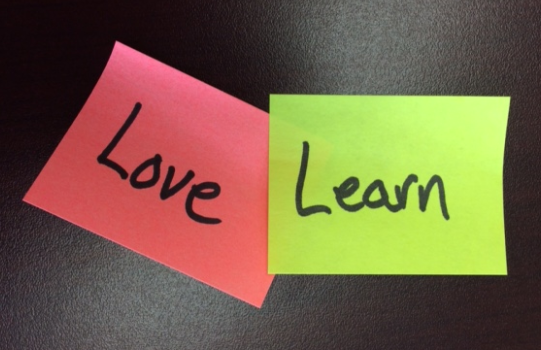 After some time, two ‘L’ words came to me – ‘Love and Learn’. Last year, I had the pleasure of teaching grade 3. A common message that was taught was our purpose is to love, love, love. Likewise, a common message for students and staff was the need to learn, learn, learn (January 2014 blog The 3Ls). So, if last year my words were ‘Love and Learn’, what about this year? 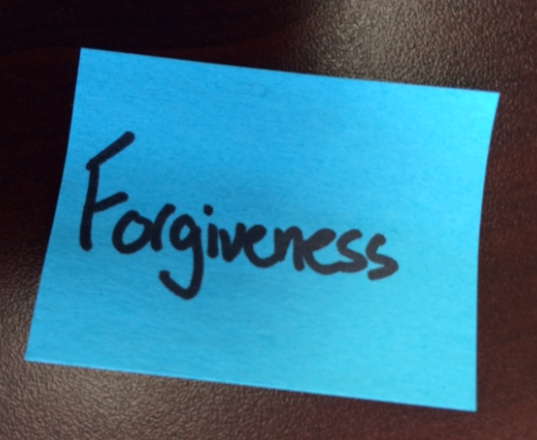 Again, after some quiet reflection my word this year is ‘Forgiveness’. As I reflected, examples in my life came to mind on how quick I was to ask for forgiveness. Quick to ask for it, but slow to give it. Also, over my years I have witnessed many conflicts. Conflicts between student & student, adult & student, and/or adult & adult. Often, someone has made a mistake or there is an allegation of wrongdoing. Very quickly, there is a demand for consequences. I am a true believer of the need for fair and consistent consequences, but I see the greater need for forgiveness. Acknowledge the mistake and accept the consequences, but offer forgiveness. So, I did not make a New Year’s Resolution. I received a guiding word, ‘Forgiveness’. This year, and every year, I will make many mistakes. For those that I hurt, I will ask forgiveness. For those that I am hurt by, I promise forgiveness will be plentiful and quick.